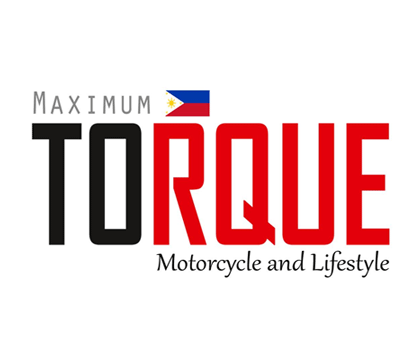 It is definitely different on the aesthetics side of things and it also caters to an entirely different kind of rider. With a European Quality engine just like With a European Quality engine just like the Super 8 and the Dink, to name a few, you are assured of a daily workhorse that will lastfor years to come. 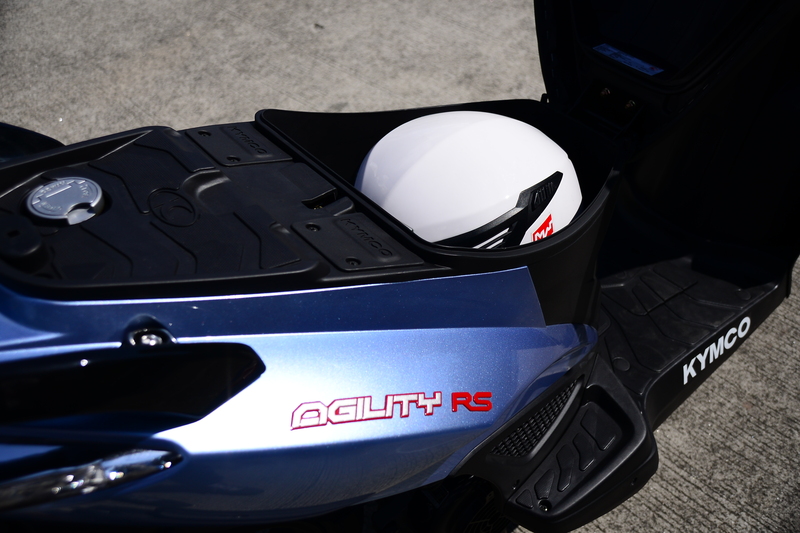 In terms of spec sheet, it is basically the same as the KYMCO Agility RS but this time it sports a more rugged and street look thus the name Agility RS Naked. 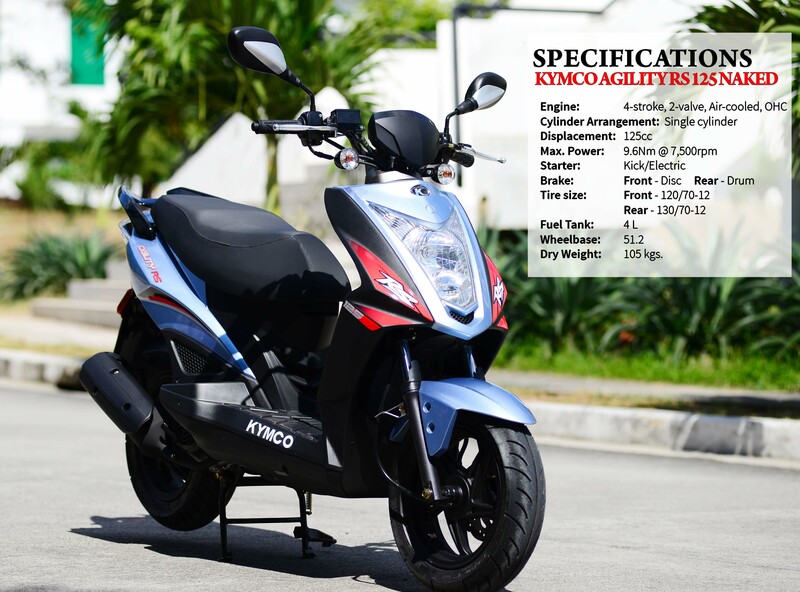 From the version of old, the Agility RS 125 Naked is still every bit the KYMCO Agility that we know of – reliable, stable and of course agile. 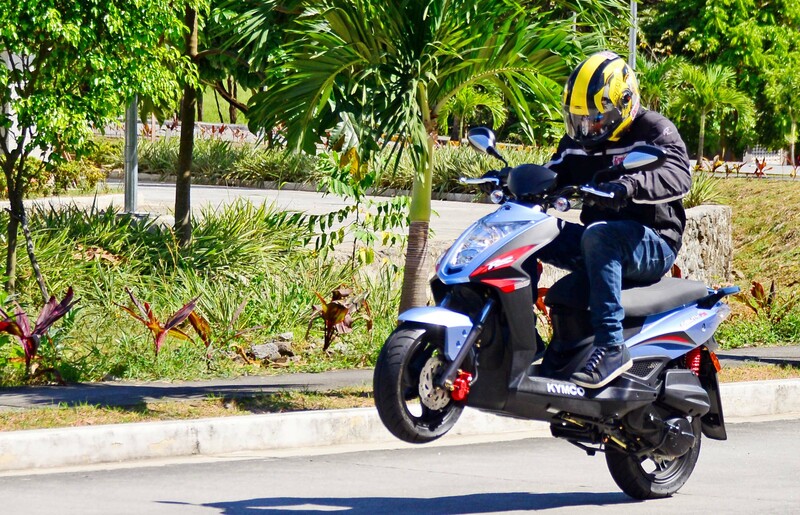 We will be giving out some updates through this article although it is basically the same scooter that we reviewed just very recently (Kymco Agility RS a.k.a. Super Agility) in terms of spec sheet so the technical review will be the same and there will be excerpts. 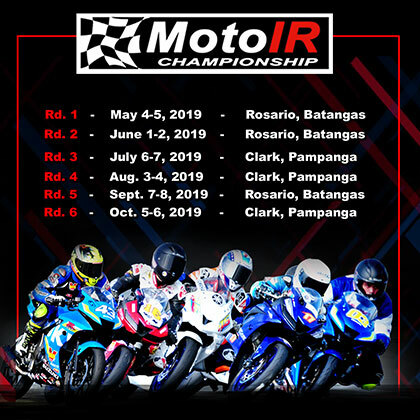 It is definitely different though on the aesthetics side of things and it also caters to an entirely different kind of rider. 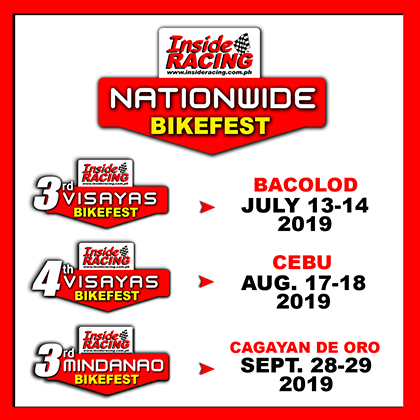 This version is also powered by a 125cc, 4-stroke, single cylinder, air-cooled engine that is propelled by a smooth CVT transmission that is ever present in KYMCO scooters. 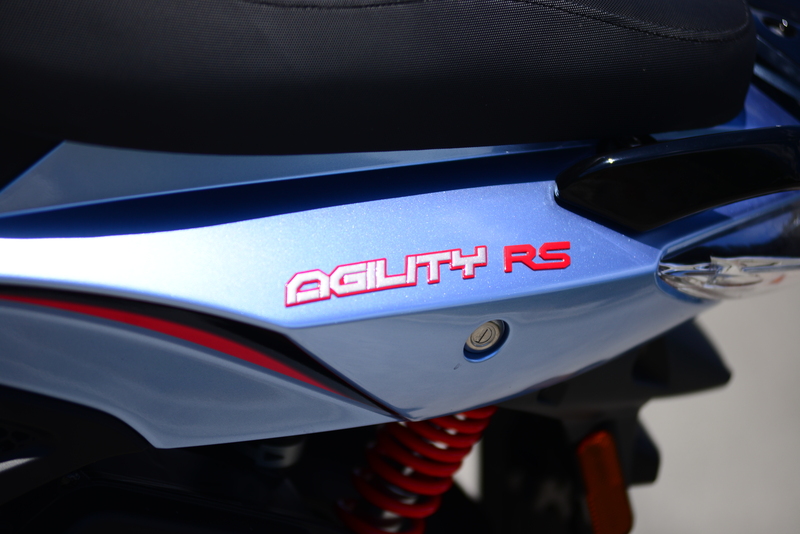 The Agility RS Naked generates a maximum output of 9.6Nm of torque at 7500 rpm. 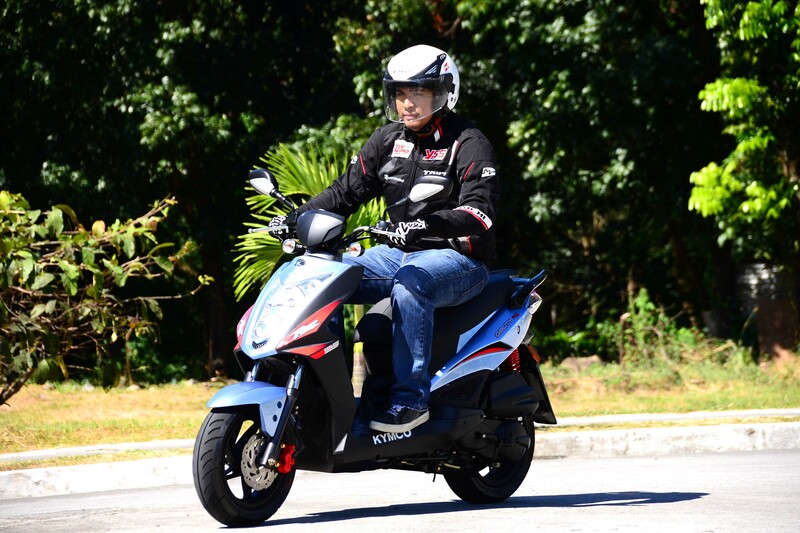 A slight twist of the throttle and you will notice its smooth delivery of power, although the scooter’s sweet spot is at mid range. 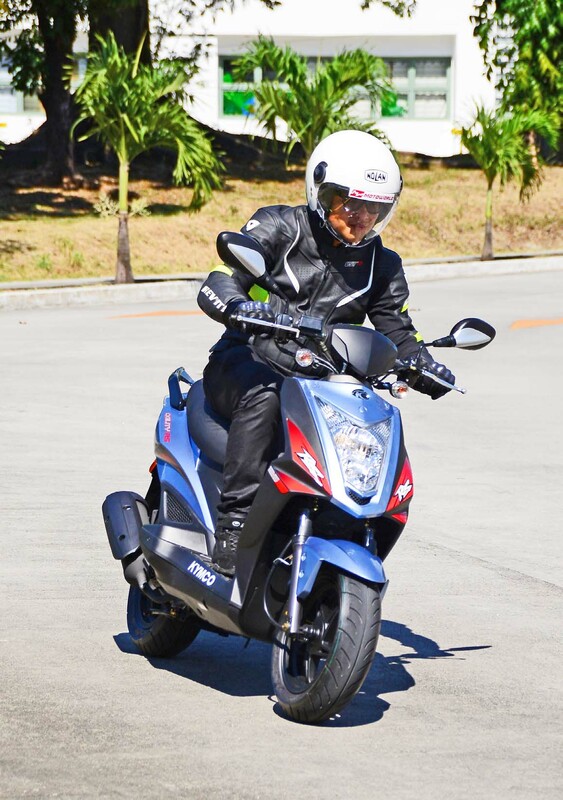 At a light 105 kilos, the Agility’s 125cc engine should be enough to power your city riding errands. Besides with its sportier naked scooter looks, it’s best to stay within the bike’s limits so that everyone could appreciate its beauty as well. Unlike the old version of Agility, one of the very obvious things you will notice on the new Agility is the presence of wider profile tires mounted on 12-inch rims. The scoot now carries a standard 120/70-12 front and 130/70-12 rear tires and rightfully so for good reason. The OEM tires which are of the brand CST, also provide the much needed grip, whether going through dry or wet conditions. The wider profile also helped in going through some light rough roads during our test, as well as aiding during those surprise potholes you see all over the metro. 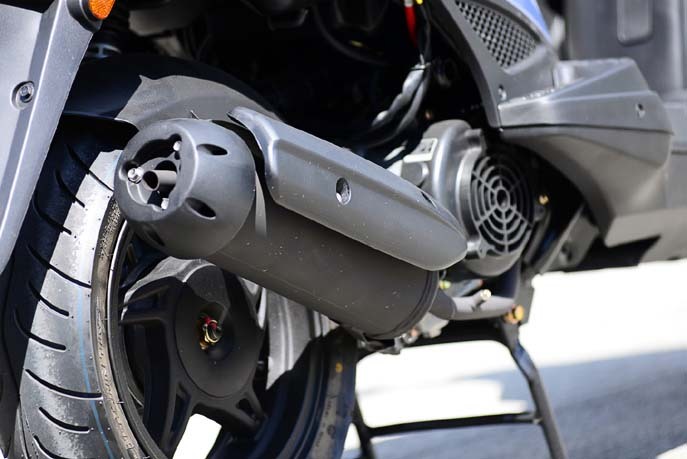 The brake system which consists of a single front disc brake and a rear drum brake provides more than adequate braking performance in relation to the scooter’s engine output. 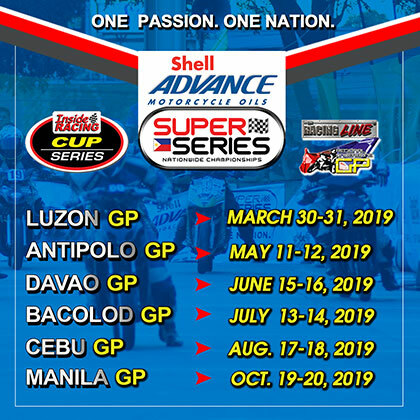 It is really a big plus that the Agility now has wider tires and coupled with the dual swing suspension system, this will give you added confidence when using the scoot on out of town trips or even as your daily commuter here in the metro. 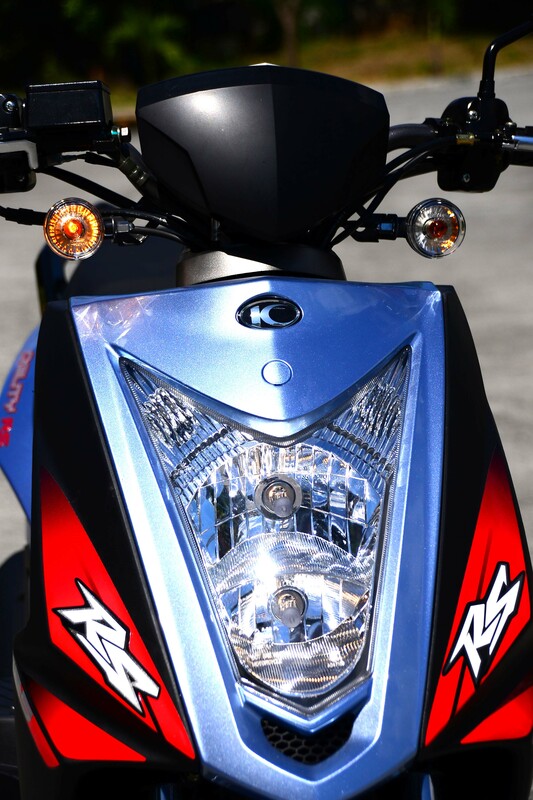 Furthermore, the good guys at KYMCO retained the parking brake feature, putting safety points in the Agility RS Naked. As we previously stated, the V-shaped headlight combines elegance and character in this bike. It is both aggressive and good-looking. It provides the much needed illumination and more. The uniquely-shaped headlight panel would provide the needed light intensity and light throw for night riders, particularly helpful when you are driving in a poorly lit area as it will give you the proper illumination, paving the way for a much safer and hassle-free ride ahead. The tail light meanwhile is also aggressively designed along with the rear signal lamps. The instrument cluster meanwhile exudes character on its own. The combination of blue/red/black colors on our test unit provided a nice contrast with the light and dark color of the scooter. The analog tachometer is on the left while the analog speedometer is on the right. Snuggled in between them is a small fuel gauge at the upper middle part of the console. There is also the presence of a digital clock which should come in handy any time of the day. The underseat compartment provision is a tad more spacious than the other scooters in its range. A large full-face helmet will fit, along with some more space for a couple of shirts and some documents. If this will serve as your daily commuter and if you wouldn’t be lugging a lot of stuff with you then the compartment would do. 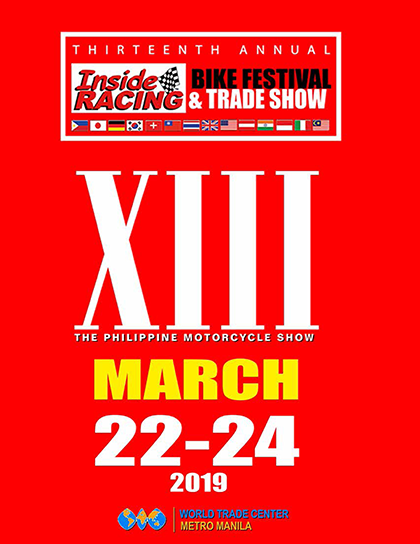 Of course as with any scooter, you may also install a top box should you wish to so that the carrying capacity of the bike will increase. 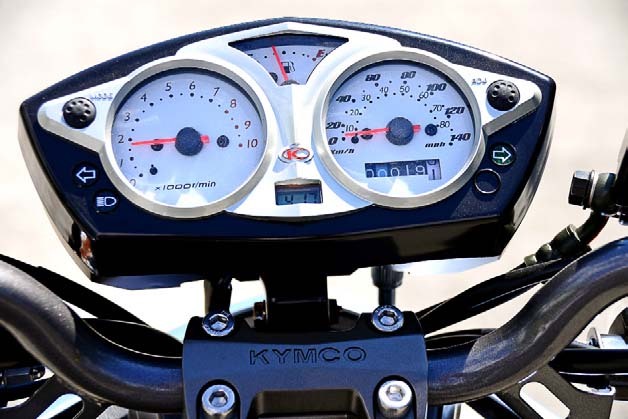 By the looks of it, the rear grab bar of the naked scooter seems to be top box compatible just like the other KYMCO models here locally so that should not pose much of a problem installing. But that is entirely up to you as it will affect the image that the Naked Agility projects. 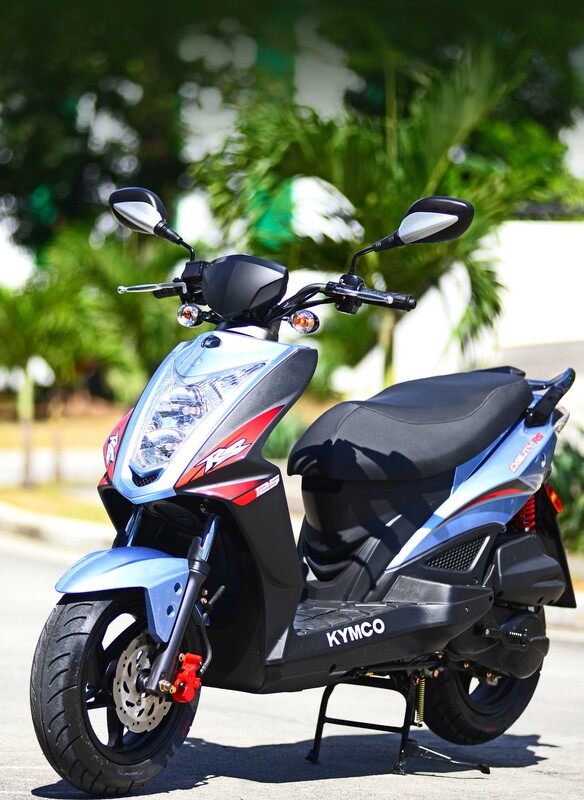 This naked styled beauty is projected to go on its own direction as KYMCO has removed the foldable back rest which was the most recognizable feature of the Agility RS. The paint scheme on our test unit blended well with the character of this naked beauty. 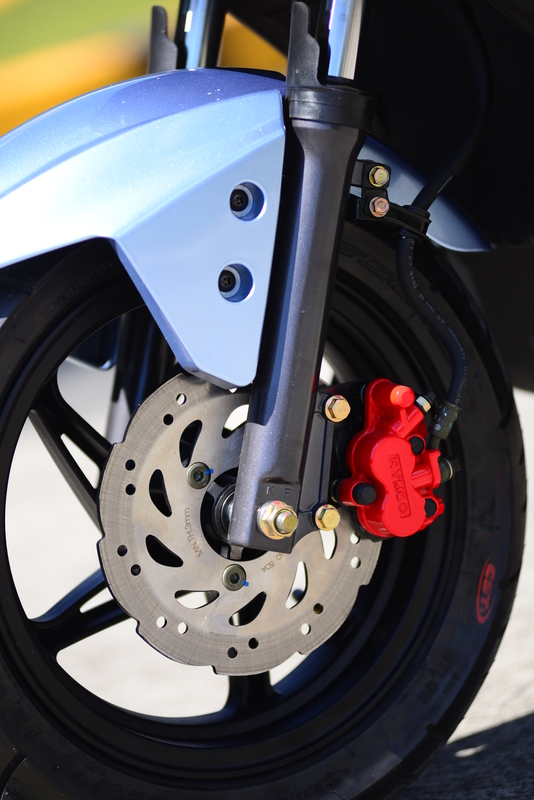 Even the red brake caliper with the KYMCO brand engraved on it stands out. The wide handlebars make you appear to have total control of the bike. 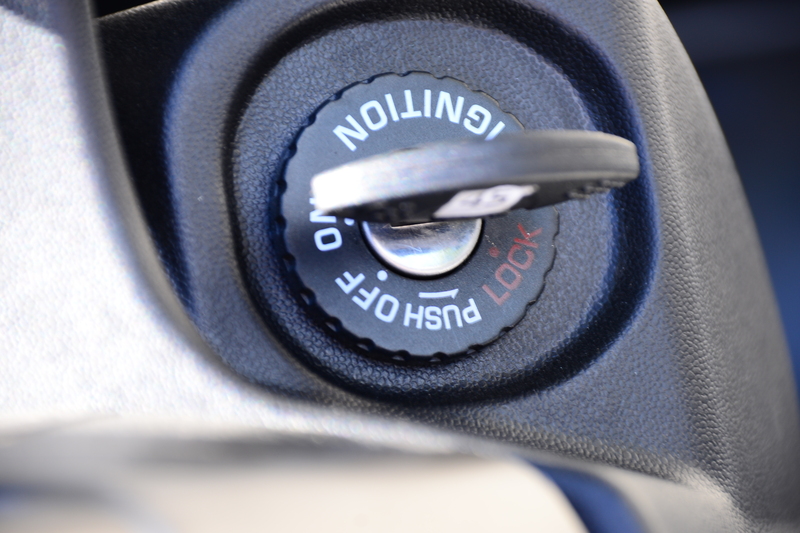 The fuel capacity is still rated at 4 liters so that is one thing that we instantly noticed. Not a problem, just plan your gas stops ahead of time and you will be fine. The range is between 120-130 kilometers based on our First Impressions test. Make no mistake about it, this scooter is a very enjoyable scooter to ride that is why we wanted to have a bit more time between gas ups because as we’ve said, it is indeed fun to ride. 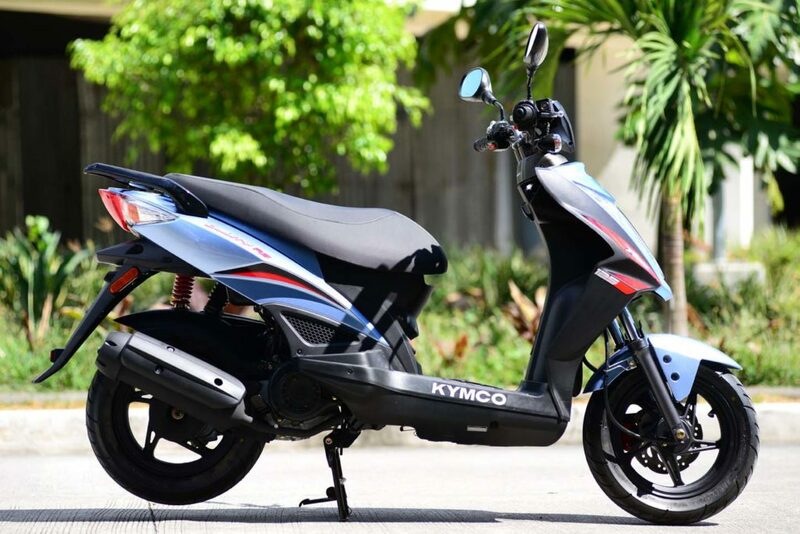 In spite of its head turning looks and sporty styling, still the best thing about getting a KYMCO scooter will always be the quality of its engine. With a European Quality engine just like the Super 8 and the Dink, to name a few, you are assured of a daily workhorse that will last for years to come. Just like the Super Agility, the naked version retained the rugged sporty city riding style. For those wanting to project a strong character while riding a scooter in the city a street, then this sporty scooter is the one for you. And with its suggested retail price of only 68,000.00 this naked beauty is quite a steal, really. For those wanting to project a strong character while riding a scooter in the city streets, then this sporty scooter is the one for you. 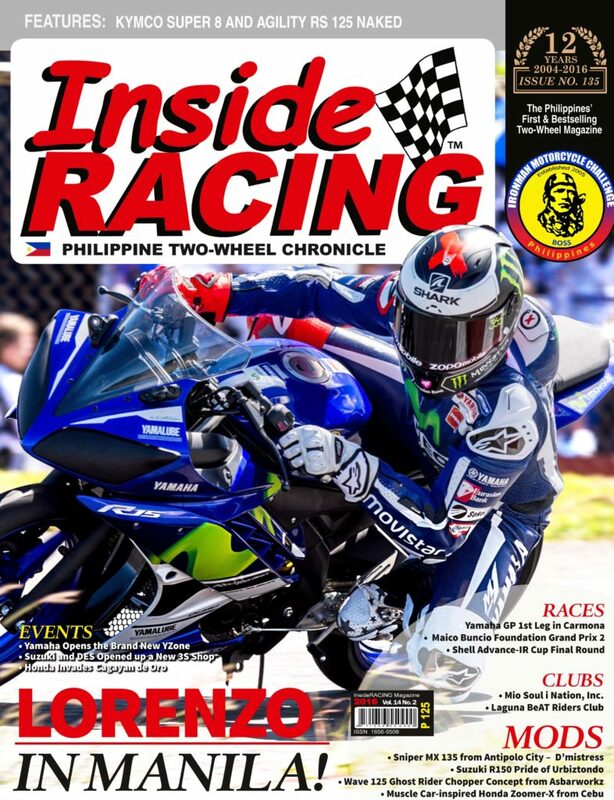 *This article was published in InsideRACING’s Volume 14 Number 2 2016 issue.